This one really fits the bill in terms of getting you off the beaten track as we head up to the remote region of Ha Giang in the north-eastern corner of Vietnam. Sharing a border with China this region gives you a glimpse of Vietnam from a bygone age. Until relatively recently the Vietnamese government restricted travel in the area and so it has escaped the impacts associated with mass tourism. In an ever-shrinking world, Ha Giang, with its uniquely preserved tribal culture (nearly 90 percent of the population is ethnic minorities), is one of those rare places that hasn’t been corralled by modernity or pre-packaged for visitors. At least, not yet. During the past two decades, as Vietnam’s lowlands and urban centres have teetered on tracks of globalization and economic development, much of this distant 5,000-square-mile province has remained detached and frozen in the past. Conceptualised in collaboration with our local partner we were the first to run a road bike tour in the area and it is not one for the faint hearted. Terraced rice paddies and primary forests provide an attractive canvas as we wind our way up through vertiginous passes on the road less travelled. The elevation profile is immense and so this tour leans towards the ‘epic’ scale of our tour portfolio. As a challenge and a truly adventurous experience it takes some beating though. > Single supplement – Our prices are based on twin/double occupancy. If you wish to have your own room please let us know and we will calculate the additional cost. > Tips – We recommend that each person puts US$60 into a kitty as a tip for the local support crew. The tour is priced in US$ as that is currency that we pay our suppliers in. Outside cultures have had a strong influence, from the Chinese and Khmer dynasties and the Indian empire to the (short lived) Japanese occupation and, in particular, the French colonial rulers. A classic example of a Vietnamese dish that mixes historical cultural influences with the native cuisine is the ever-popular bánh mì or bánh mỳ – a crusty baguette filled with thinly sliced pickled carrots and daikon, cucumbers, cilantro, chillies, pate, mayonnaise and various meat fillings or tofu. The contrasting flavours and textures of this sandwich combined with its low cost make this a popular everyday dish. Vietnam is made up of over 50 provinces. In terms of food, there are three distinct areas – the North, the Central Highlands and the South – each of which has its own climate, culture and food traditions. Broadly speaking, the North is more influenced by neighbouring China and the food tends to reflect its colder climate; the South draws more upon Khmer and Thai influences and its hotter climate means more emphasis on salads, grilled meats and so-called “cooling foods”; whereas Central Vietnam is more of a blend of the two styles. Archaeological excavations carried out near Hà Giang town at Doi Thang (Pine Hill) have established the region’s antiquity to about 3000 years back. What was later called Hà Giang Province by the French was part of bộ Tân Hưng in ancient times, one of 15 bộ in the nation of Văn Lang. The increasing opposition by the Vietnamese to French rule saw the King adopting a neutral stance. However, Vương Chú Sển, who succeeded his father after the latter’s death in 1944, pledged support to Hồ Chí Minh. Japan’s defeat by the Allies of World War II created a power vacuum for Vietnamese communists to seize power in August 1945 before French authorities were able to return to reclaim control of the government. Their initial success in staging uprisings and in seizing control of most of the country by September 1945 was partially undone, however, by the return of the French a few months later. This marked the start of the first Indochina war which lasted from 1946 -54 and resulted in the 1954 Geneva conference leaving Vietnam a divided nation. Ha Giang was part of the communist north that was led by Hồ Chí Minh and was impacted by the extensive land reform program he instigated. The division of Vietnam was not a peaceful one though, especially given the Cold War context, and as a result the second Indochina war was to wage from 1954-75. For further details on Vietnam’s war-ravaged past and a more detailed overview click here. Vietnam has a history as rich and evocative as anywhere on the planet. Sure, the American War in Vietnam captured the attention of the West, but centuries before that Vietnam was scrapping with the Chinese, the Khmers, the Chams and the Mongols. Vietnamese civilisation is as sophisticated as that of its mighty northern neighbour China, from where it drew many of its influences under a thousand-year occupation. Later came the French and the humbling period of colonialism from which Vietnam was not to emerge until the second half of the 20th century. The Americans were simply the last in a long line of invaders who had come and gone through the centuries and, no matter what was required or how long it took, they too would be vanquished. If only the planners back in Washington had paid just a little more attention to the history of this very proud nation, then Vietnam might have avoided the trauma and tragedy of a horribly brutal war. (courtesy of Lonely planet). Make no mistake, you are signing up for an experience to remember for a lifetime. I’ve traveled in Vietnam before, but Ride and Seek’s Vietnam tour far surpassed my expectations. 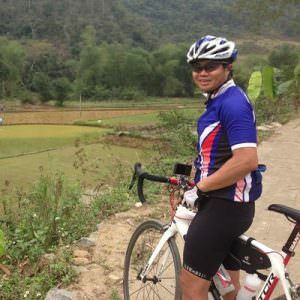 From the meticulously planned in-country operation, to ascending into the foggy heavens of Vietnam’s mountains and the sheer enjoyment of riding roads that have yet to see a modern day bicycle. This trip wrote stories my grandkids will hear about. A truly epic and memorable tour of Vietnam was had in so many aspects last year. Great riding and adventure, suberb food cooked by the chef, lunches had with breathtaking views, great support crew and masseuses plus our bikes were cleaned and mechanically tuned each night. An awesome adventure with an awesome bunch of people. The Missus and I thoroughly enjoyed ourselves !!! Don’t just think about it, do it! After a little while deliberating, I’m very glad I chose to do this trip with Ride and Seek in Vietnam. A great week of riding and exploration in excellent company. Felt very well looked after by Dylan & Matt. All I want to do now is ride my bike! This was undoubtably the greatest week on a bike of my cycling life. Stunning landscapes, great people, great food, and most importantly some monumental climbs. 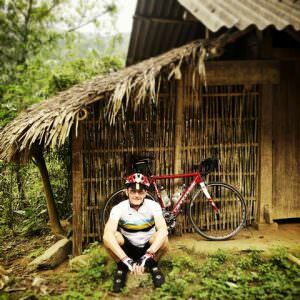 As a cyclist and a photographer I was in heaven from the day I arrived in Vietnam till the day I left. Bring good tyres, good wheels, strong legs and an open mind and you will have a blast.